Komodo dragons are a lazy bunch, very rarely moving on from the valleys where they were born, according to Australian-led research. The dragons probably don't move far beyond home because even a short move could prove costly, and when local resources are abundant, there's no point in moving anyway, say the scientists. Funder: The Zoological Society of San Diego, the Komodo Species Survival Plan of the American Zoo and Aquarium Association. Real dragons don’t’ fly: Among Charles Darwin’s most remarkable observations during his voyages were repeated accounts of flightless birds and beetles on islands. This phenomenon now appears much more widespread and reflects a more general tendency for island organisms to evolve limited dispersal. However, the basis to how island animals evolve limited dispersal remains enigmatic. 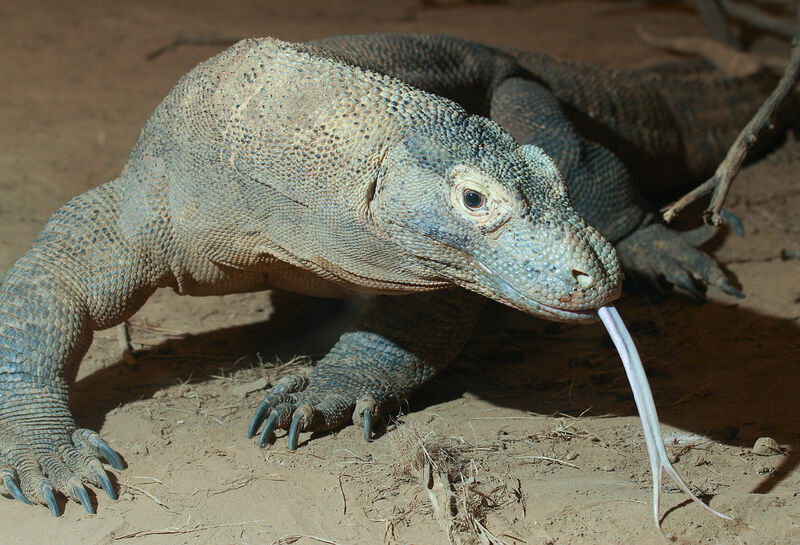 In Komodo dragons we show that the world’s largest lizard rarely moved beyond the valleys they were born/captured in. We suggest that Komodo dragons restrict their movement capacity to gain benefits of local resources and avoid costs of dispersal to even closely adjacent islands.